A promotional campaign is being launched to help consumers introduce more variety to their diets. Research by YouGov has shown that over three quarters (81%) of Scots repeat the same meals for dinner week in, week out and half the nation consider themselves “stuck in a rut” when it comes to dinner. The majority (56%) of those questioned said they always have the same meals for dinner and put it down to not knowing what to cook. The average consumption of lamb in Scotland is only half of the UK as a while, and the research showed over a third (38%) of Scottish adults never eat lamb for dinner midweek, but national chef Gary Maclean has stepped in to support a nine-week long campaign to encourage people across the country to enjoy Scotch Lamb. 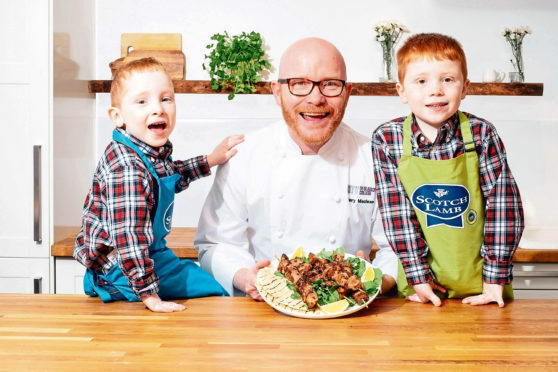 He said: “We’re lucky enough as a nation to have access to such high quality, fresh ingredients, and it’s time we stepped up and introduced them to our mealtimes on a regular basis.